Dynarex Skincote Protective Dressing Applicators help you to easily apply a protective coating against tape adhesives, electrodes, external catheters, T.E.N.S. units, and other appliances. 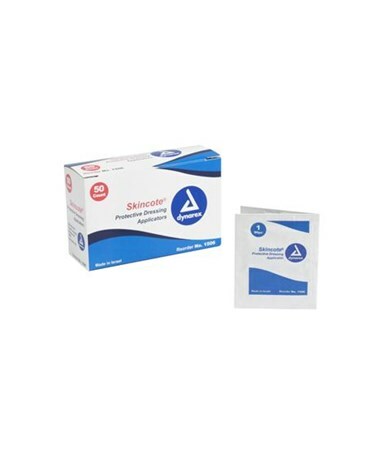 Skincote Applicators are pre-moistened so you can easily apply to patient's skin quickly and efficiently. 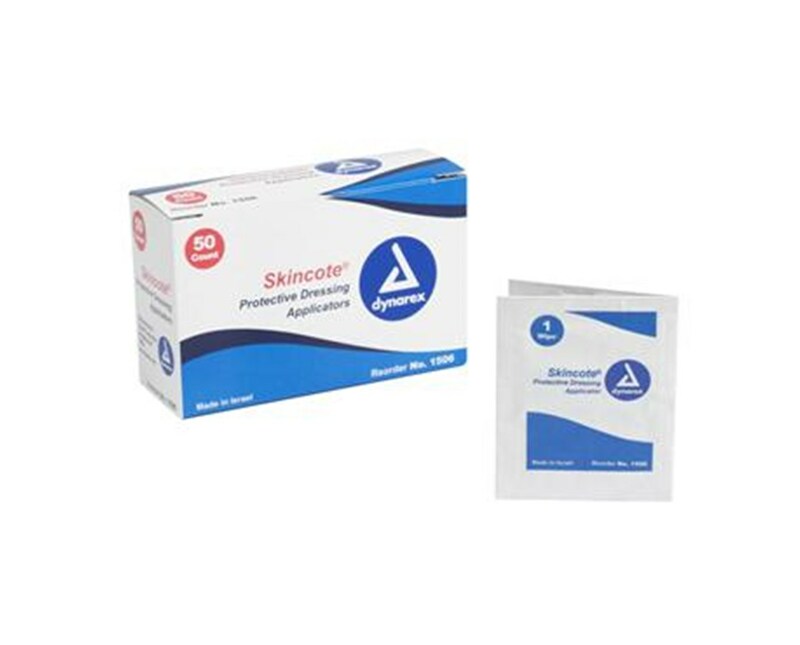 Adhesives from medical devices can be harsh on your patient's skin and Dynraex Skincote Protective Dressing Applicators help give that added layer of protection. Protective coating does not have to be removed when changing bandage or appliance.